Govt. College of Nursing, Medical College & Hospital, Kolkata. 88, College Street, College of Nursing, Medical College & Hospital, Kolkata – 700073. The Medical College Hospital was established in 1835 and it is considered as one of the oldest premier institutes of India. In the history of Medical College of Bengal, we find that during 17th and early 18th century when there was little facility for medical service to the common people, English administration started to establish a Medical College which will teach available modern scientific treatment and serve to the society. So, the journey began with students and till now this college is running successfully with its glory. Many stalwarts in the field of nursing are students of this college and also engaged in teaching. The Govt. permitted for B.Sc. Nursing Course on 29th June, 2005 and INC permitted for B.Sc. Nursing Course (50 Students) on 22nd July, 2006. Permission was given by the Govt. for M.Sc. Nursing Course on 25th April, 2008 and INC permitted for M.Sc. Nursing Course on 9th August, 2008. The Govt. permitted for P.B. B.Sc. Nursing Course on 24th July, 2009 and INC permitted for P.B. B.Sc. Nursing Course (50 Students) on 24th July, 2010. We have attained the feat of 100% result in academics. Every year at least 30 research works are successfully conducted. M.Sc. and Basic B.Sc. 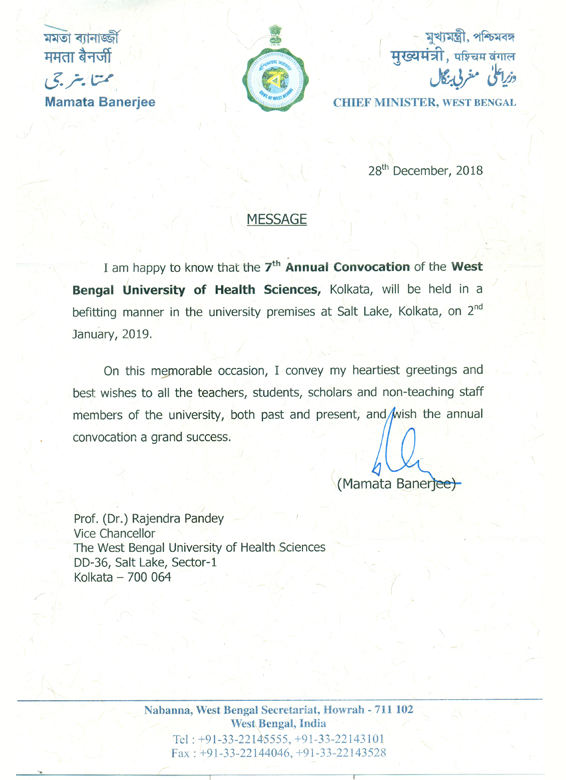 Nursing student of our college has been rewarded Gold medal for university topper among all nursing colleges of West Bengal. Basic B.Sc. Nursing – 4 years course with 50 seats annually. M.Sc. Nursing – 2 years course with 25 seats – 5 seats in 5 specialties, i.e. Community Health Nursing (Critical Care Nursing), Medical Surgical Nursing, Pediatric Nursing, Psychiatric Nursing, Gynecological & Obstetrics Nursing. The admission process for the said courses is done through JENPAUH entrance examination which is conducted by Joint Entrance Board of West Bengal. The candidates for Post Basic B.Sc. Nursing & M.Sc. Nursing courses are selected through the entrance examination (WBNAT & WBPGNAT) which is conducted by the West Bengal University of Health Sciences. To prepare a knowledgeable and skilled nurse who will be able to serve the mankind with quality and comprehensive nursing.